John Green is a recent popular name in the American young adult fiction. He is also an avid video blogger who has published numerous educational videos online. The Fault in Our Stars is considered to be his outstanding by far along with other notables. 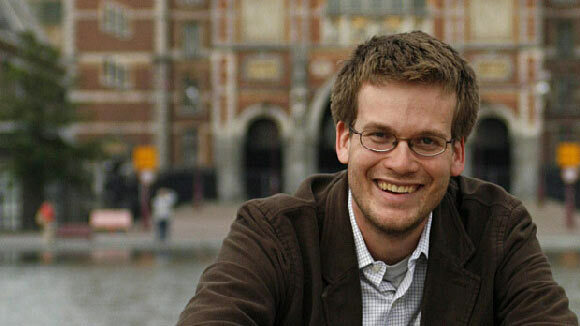 John Michael Green was born on August 24, 1977, to Mike and Sydney Green in Indianapolis. He received his early education from Lake Highland Preparatory School and Indian Springs School. His experience of school was similar to other social outcasts who get bullied by arrogant people. He earned double graduation degrees in English and Religious Studies from Kenyon College. He worked as a student chaplain after graduation in a children’s hospital. His initial aim was to become an Episcopal priest. However, the time he spent among children with terminal-illness stimulated him to become a writer. Afterwards, he worked as a publishing assistant for Booklist, a book review journal. Green wrote numerous reviews on literary fictions mostly concerning conjoined twins or religion of Islam. While working as a critique he also began writing his debut Looking for Alaska. Eventually, he had his project completed and published by 2005. It is a coming-of-age romance novel about a teen Miles. The novel is inspired by Green’s time at Indian Springs. Unlike other YA writers, Green has broadened the horizon of YA novels’ subjects matter. He introduced more philosophical approach to the issues in a teenager’s life. The unorthodox form and content of the novel had it earned the American Library Association’s Michael L. Printz Award in 2006. The book made a record staying at New York Times best seller list for the span of 7 years. Subsequently, Green penned a second novel in 2006 titled, An Abundance of Katherines. It was another successful publication which was able to garner runner-up position for the Printz Award and Los Angeles Times Book Prize’s finalist stand. His next novel published in 2008, Paper Town, was also received with the same enthusiasm as its predecessors. There was a promise of a film adaptation of the book which he accepted. However, later Green realized book’s worth and feared the movie’s failure to capture its essence would fail his dedicated readers. Thus, he pulled out of the adaptation contract. Moreover, following the success of his literary work, Green quit his job at Booklist as a critique with intention of working as a professional writer. The years to come brought Green achievement of his lifetime in the form of The Fault in Our Stars. It was the highest grossing novel of 2012. The novel is about a teen Hazel with a terminal lung cancer, who keeps waiting for the sword to fall. Unlike other kids she didn’t have much to aspire for until she meets Augustus who had once suffered from cancer himself. A sudden twist of fate takes them on a trip to Amsterdam and the journey changes everything for them. Green has masterfully sketched the plot in which he made certain at the beginning there is no happy-ending but there is hope. He expands the limitation of YA novel by discussing mature subject matter. Green philosophically and wittily approaches the theme of grief, pain, death, oblivion and other serious subjects. Moreover, he profusely infuse the literary allusions in the novel giving it a more sophisticated form. The Fault in Our Stars has now been adapted for big-screen, releasing in June 2014. John Green’s works in collaboration with other writers include Let It Snow: Three Holiday Romances (2008) and Will Grayson, Will Grayson (2010).